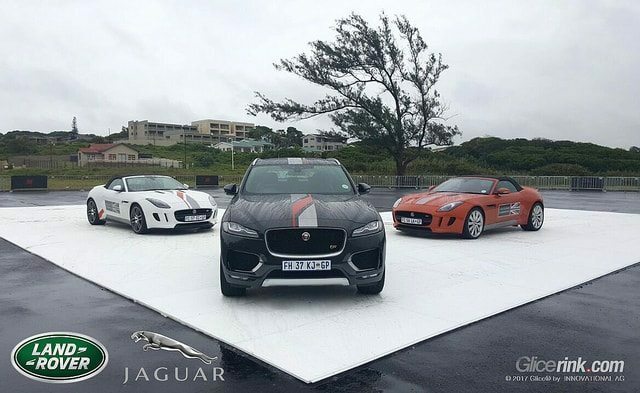 Jaguar & Landrover ice skid testing on Glice® synthetic ice in South Africa! The world-class car manufacturer Jaguar Landrover has used Glice® premium synthetic ice to carry out skid testings. Glice® helped to simulate extreme conditions to measure the cars’ performance. Thanks to the exceptionally low friction of Glice® artificial ice, the tests are a real measure of the cars’ braking systems, tyres and engine performance. The testings also revealed the solid material and connection system of a Glice® synthetic ice surface. It resisted the heavy impact of the car drives and brakings without any problem.